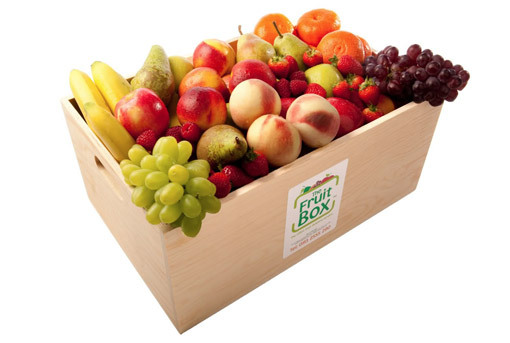 The Fruit Box is West Yorkshire’s first corporate office fruit supplier. We specialise in creating delicious fresh fruit boxes that brighten up your office and provide your employees with a weekly health boost. The Fruit Box has recently become part of Fruitful Office, a company that shares our passion for providing an outstanding service to clients. Why get fruit for your office? Why Choose the Fruit Box? We make deliveries Monday to Friday in the West Yorkshire area. The fruit is packaged and delivered in a wooden presentation box which is sure to impress both your employees and anyone visiting your office. Click here to get started. We offer an introductory 4 week trial with the 4th week’s fruit order completely FREE. Our customers have found that 4 weeks is a good amount of time to test the impact of the availability of fresh fruit on your employees. Email info@thefruit-box.co.uk to get started with your first office fruit delivery.